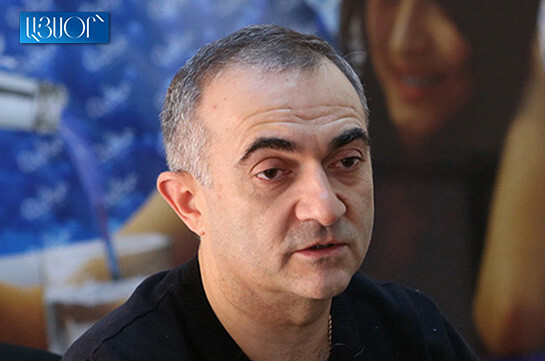 Bright Armenia faction MP Arman Babajanyan claims that the past 10 months were enough for working out a program which could have become a guideline for not only 5 but 15 years. “This document is de-strategic, de-conceptual document. The government’s program does not have any strategic basis,” he said at the parliament today. 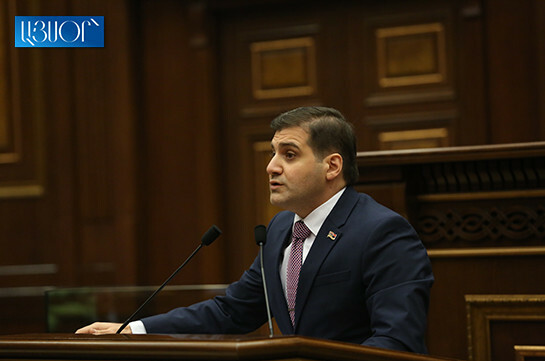 Babajanyan stressed that according to the program Armenia will carry out self-isolating, single-vector policy with the new authorities not planning to undertake any steps to find strategic partners, establish allied relation and diversify country’s foreign policy. “The foreign political relations described here raise concern that we will continue carrying out foreign policy based not on Armenia’s and national interests but stemming from unreplaceable principle of the third countries and commitments before them,” he said, adding that Russian Federation is a de facto impediment in our foreign relation while in reality the development of relations with Russia must be based on respect of Armenia’s dignity and sovereignty. Referring to the speeches voiced by My Step lawmakers, the MP urged to defend vital institutions of the state not diverting from important issues. “The police chief is being called improperly in the court and none of you defend him. Yesterday the defense minister is being reprimanded and none of you says anything,” Babajanyan said, stressing that the government fails to defend vital institutions.